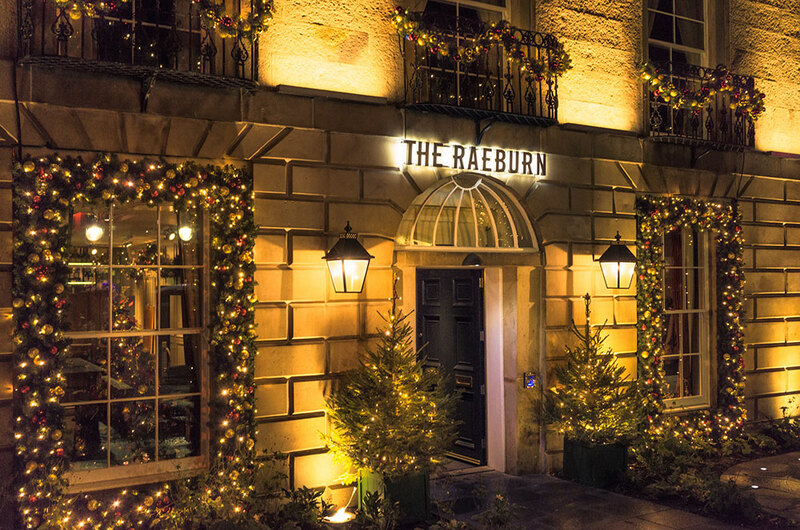 On long, dark nights the Christmas appeal of a bar and restaurant starts outside. 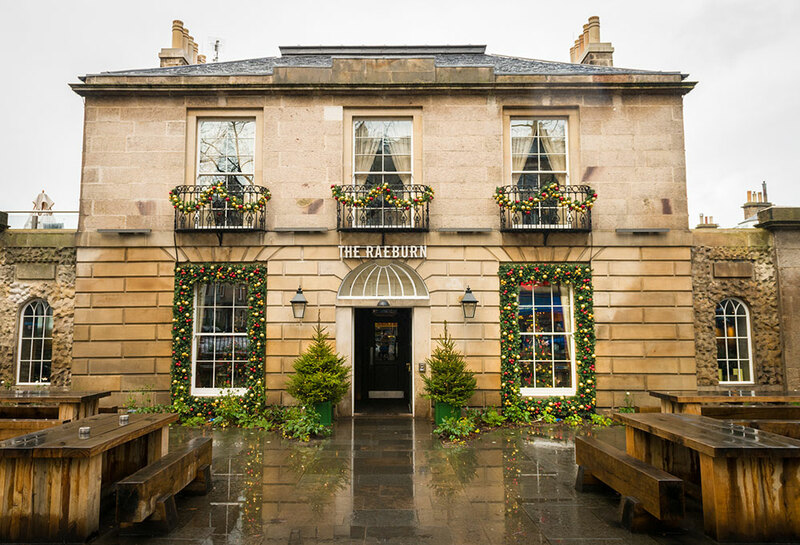 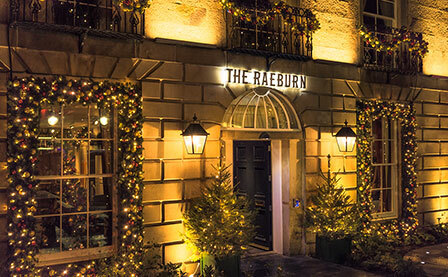 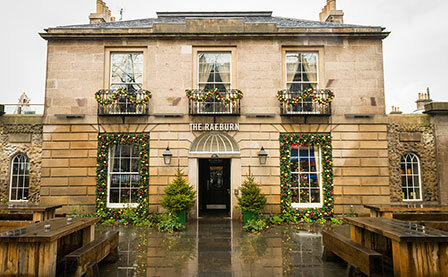 The Carnival team created an impressive exterior presence for the Raeburn Hotel, which was well received by passers-by. 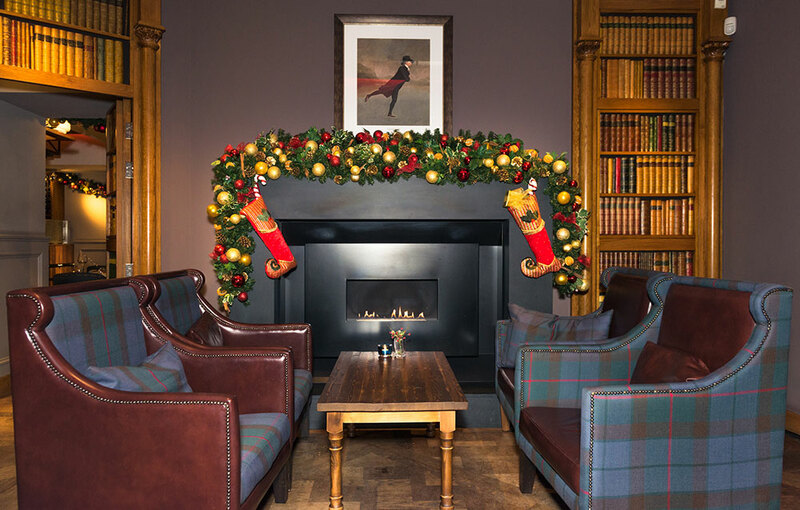 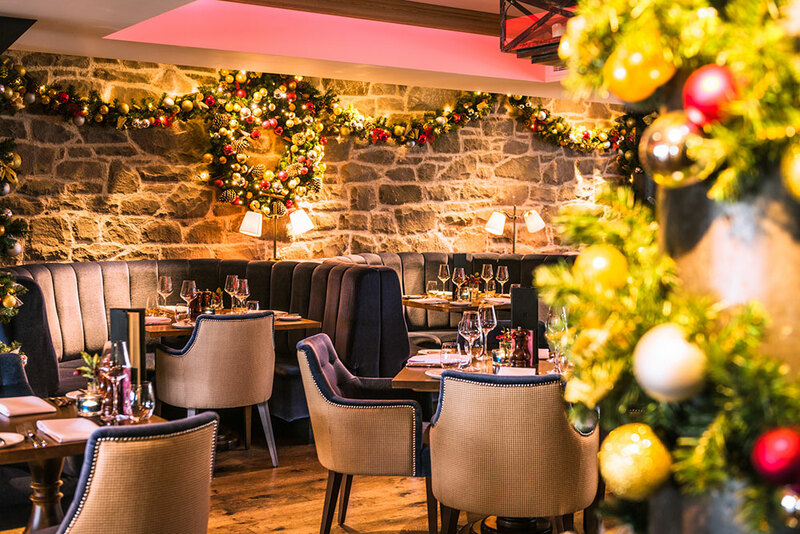 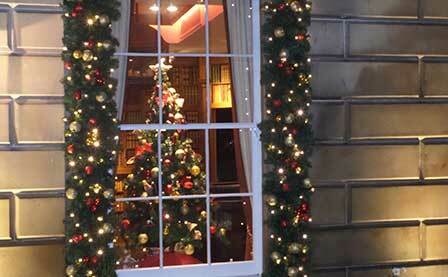 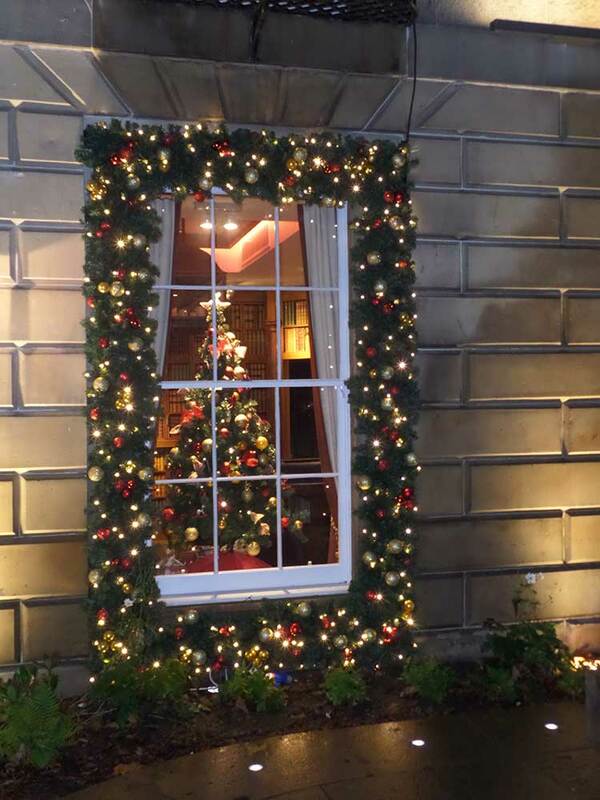 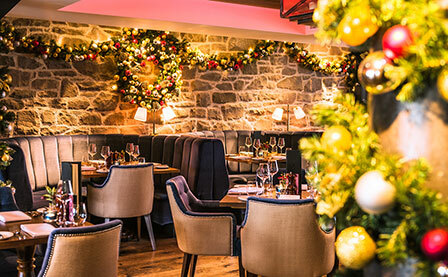 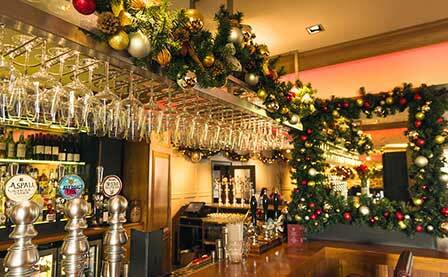 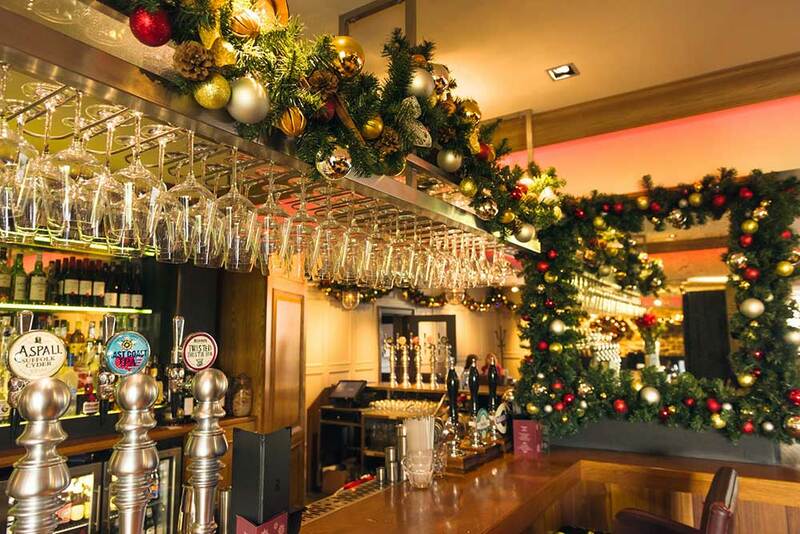 The interior was dressed with high-quality wreaths and garlands to create Christmas splendour and sparkle becoming of a restored Georgian townhouse.